My name is Bob Scothern – well at least that is how I am known now! A long time ago I was referred to as Robert; and therein lies the beginning of my story. I left home for University to pursue a course in Mechanical Engineering, knowing nothing about the Bible. I had no background in Sunday School or church attendances of any kind. 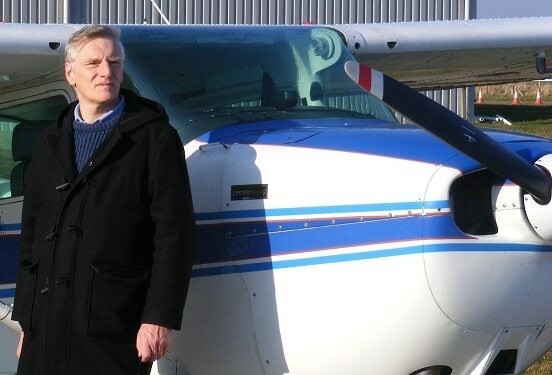 My university course started with an industrial placement with my sponsoring company, Hawker Siddeley Aviation in Hull – it was there that I got my first taste of church. I lived in a bed-sit and being somewhat bored on a weekend I was invited by a friend to go to church with him. His first name was Rod and another friend of his called Rob awaited me at church. They duly called me Bob and it has stuck ever since! At the church, I heard sound preaching on the gospel but understood little and was not awakened by the teaching other than to understand that I was not a Christian. When they took communion I declined to participate. When I then went off to University, I quickly joined a group of young people and started leading Bible studies, even though I had no real understanding of the gospel message! This in itself is not unusual, famous preachers of the past did exactly the same, one even crossing the Atlantic to proclaim a message he did not really understand. Thankfully God in his mercy open the eyes of that preacher and in due time He did so for me also. Soon I encountered a zealous Christian called Ian. He was in his third year and was associated with a group called the Navigators. He declared the gospel to me and showed me from the Bible that I was a sinner and needed to be converted. I did not accept his message and we argued frequently. Ian however was very patient. I remember after a visit to see me and the usual disagreement he would pause at the door as he departed and would leave me with a reference from the Scriptures. When he had gone I would turn up the reference and find on every occasion that he was right in what he had declared to me. Soon I went with Ian to a church. We used to travel in a friend’s old Riley car, the type with the long front wheel arches and I used to stick my arm out of the car and collect flowers from the verge while we sped along at 50 mph! The minister was Pastor Cooper. He was a godly old man with a warm presentation of Biblical truths. I attended church each Sunday for about 6 months during which time God opened my eyes to the truth. I now understood what sin was and that my only answer to my condition was Jesus Christ. My conversion followed – exactly when I cannot tell, but the impact upon me was evident for all to see. I joined those who witnessed on campus. They called us the “God squad”! If we entered an accommodation block in the evening with a view to declaring the gospel, the students would turn up their stereos and drown us out. It was the same in the meal hall; men would take their trays and sit somewhere else. Alas the same was true of my father. I remember wrangling with him on the corner of the street. He had seen a change in his son which was not to his liking. Much of this was understandable; when first converted the heart is full of joy and misplaced zeal. It is such a marvellous experience to be converted that you simply cannot stop yourself wanting to tell other people. One of my favourite passages in the Bible shows the Apostle Paul trying to describe to a king, the very same experience of conversion. He puts it like this: “I would to God, that not only you, but also all that hear me this day, were both almost, and altogether such as I am, except these chains”. Paul is a prisoner (which explains the reference to chains) but he is longing that the king might know this experience of conversion. Later another man shouts out – “Paul, you are beside yourself; much learning does make you mad”. This is an understandable reaction, many do not think conversion is a real experience but I can assure you it is a life changing event that will leave you blessing and praising God for the rest of your life.